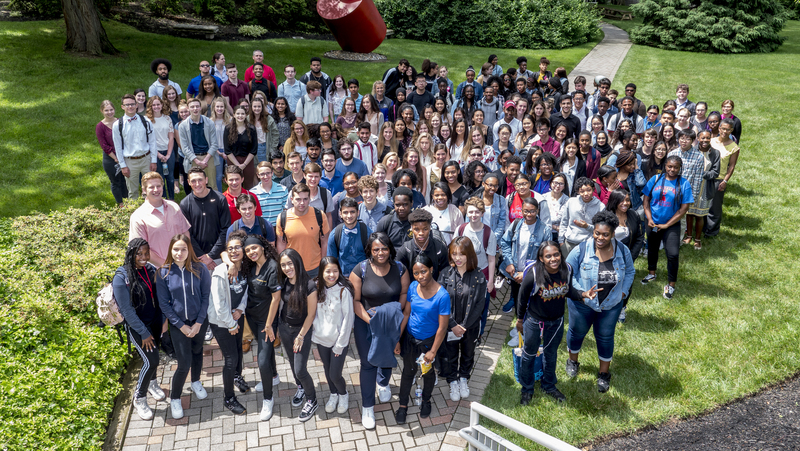 This week the Fox Chase Immersion Science Program (ISP) hosted a day-long symposium where 236 students from 6 area high schools presented data they spent the school year gathering. The research projects all focused on the effects of different dietary chemicals on fruit flies to identify foods that may interfere with targeted cancer treatments. The ISP is a research and educational program aimed at introducing high school students to basic science and cancer research. It is comprised of five programs that reach students in various ways. The symposium celebrated the work of students from the In-Classroom Training Program (C-ISP), who conduct novel research experiments in high school classrooms. Fox Chase is the first cancer center to develop a large-scale, low-cost citizen science program to train future scientists and support ongoing cancer research and is among the first research institutions solely focused on cancer. O’Reilly and Dara M. Ruiz-Whalen, MSEd, education director of ISP, are part of that tradition both as scientists and as educators whose goal is to help train the next generation of cancer researchers. Their work relies on research conducted by high school students who learn how to be scientists by collecting data on the role of nutrients in cancer signaling. The high schools that participate in the C-ISP program are Academy at Palumbo High School, Abraham Lincoln High School, Philadelphia High School for Girls, Nazareth Academy High School, Kingsway Regional High School, and Cheltenham High School. Students with their posters In addition to presenting their results at the symposium, students heard from a variety of experts in biomedical and STEM fields and had the opportunity to meet and interact with Fox Chase scientists.